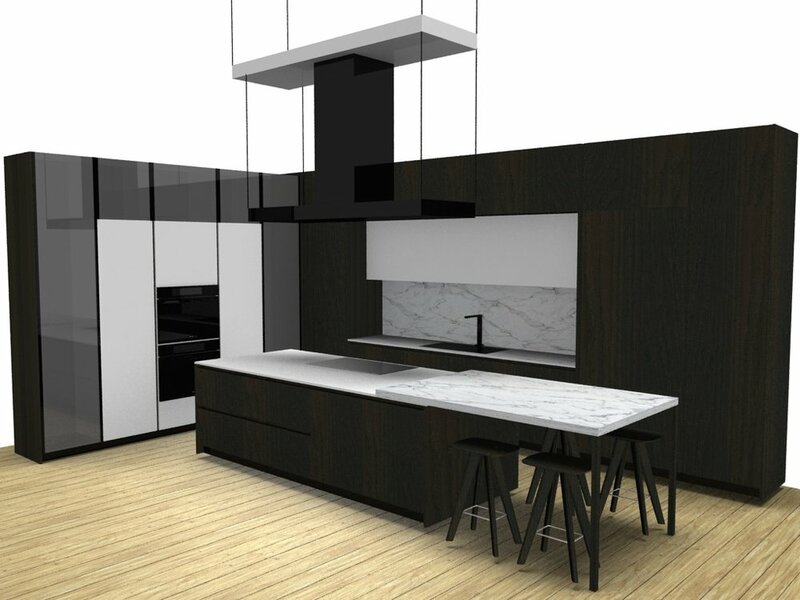 Our new Poliform kitchen display will be arriving mid June 2018. The new display features dark Spessart oak cabinetry with white quartz counters and a Carrara marble table extending off of the island. Tall reflective glass cabinets with integrated lighting frame the newest Obsidian black Miele ovens. Schedule an appointment or stop by our showroom to tour our new kitchen.